Incidentally this is also the face I make when my advisor tells me all of the things I need to add to my to do list. My posts rarely venture into the realm of paleoanthropology, but I want to take a brief moment to tip my hat to the Homo naledi team. The discovery was announced today, and I would be remiss were I not to point out my two former labmates (and, full disclosure, close friends) Caroline VanSickle and Zachary Cofran were involved; they were some of the early career scientists who analyzed the fossils after they came out of the ground. The most qualified people who applied were all women (taking trowel blazing to a whole new subterranean realm), and with the help of several professional cavers they spent a month making the perilous climb down into the cave to painstakingly excavate the fossils. From left to right Becca Peixotto, Alia Gurtov, Elen Feuerriegel, Marina Elliot, K. Lindsay Hunter and Hannah Morris. Then, in summer 2014, a team of international experts, comprised largely of early career scientists, gathered at Wits to analyze the fossils. The group of anthropologists found that all skeletal elements had been recovered and that many of them overlapped, allowing the team to compare multiple examples of the same bone. 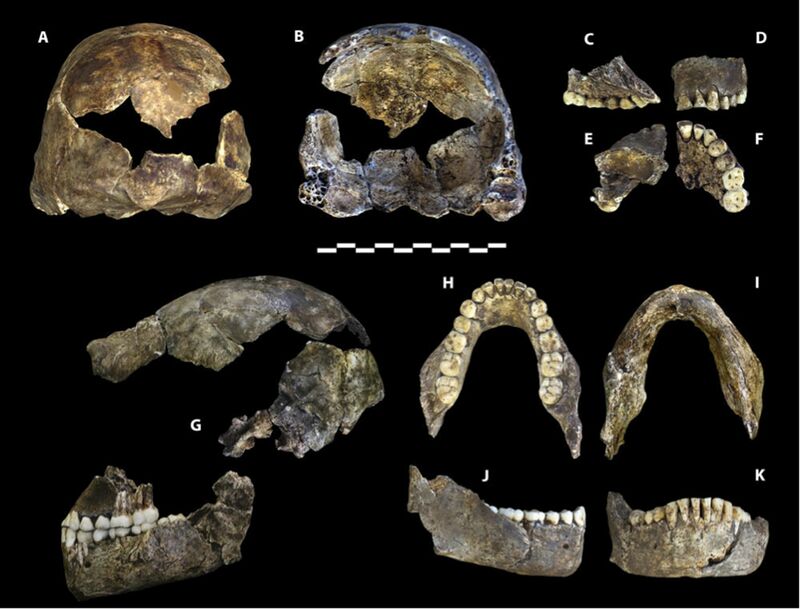 The recovered crania and dentition showed significant differences in size and form to other known species of Australopithecus or Homo, leading to fossils’ identification as a new species. The researchers named it naledi after the Sesotho word for “star”, as the chamber that housed the fossils is called Dinaledi, meaning “many stars”. The Rising Star team found that the assemblage contained over 15 different individuals of both sexes and a wide range of ages. No elements showed cut marks, bite marks or trauma. Taken together, all of this information suggests deliberate disposal of the dead. This may be the earliest instance of purposeful interment in the human lineage, a truly groundbreaking discovery in anthropology (though other paleoanthropologists are skeptical of this claim, as is traditional). Importantly, this project also put forward a new approach to paleoanthropological research. From the outset, its participants have documented the process of discovery on social media, the excavation team was composed solely of women, and early career scientists, rather than big name “silverback” paleoanthropologists, were deliberately recruited to participate in the analysis of the fossils. The results are being published in only two years, and the preliminary articles are open-access. My hope is that Rising Star acts as a model that continues to make paleoanthropology more accessible, to both young academics and to the general public. Washington Post: Fossils found in African cave are new species of human kin, say scientists. The Guardian: Homo naledi: New species of ancient human discovered, claim scientists. Berger et al. (2015). 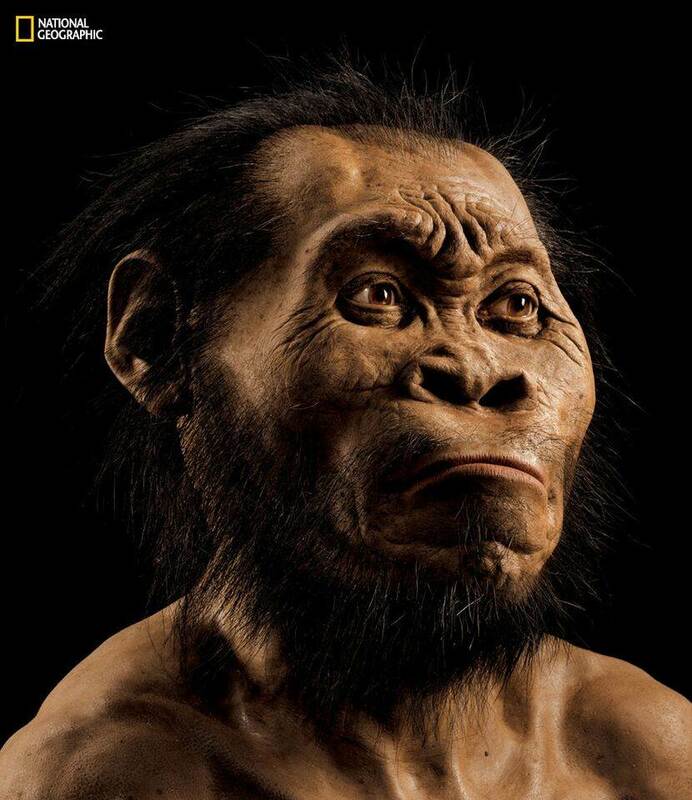 Homo naledi, a new species of the genus Homo from the Dinaledi Chamber, South Africa. eLife. Dirks et al. (2015). Geological and taphonomic context for the new hominin species Homo naledi from the Dinaledi Chamber, South Africa. eLife. Image Credits: Facial reconstruction from National Geographic. 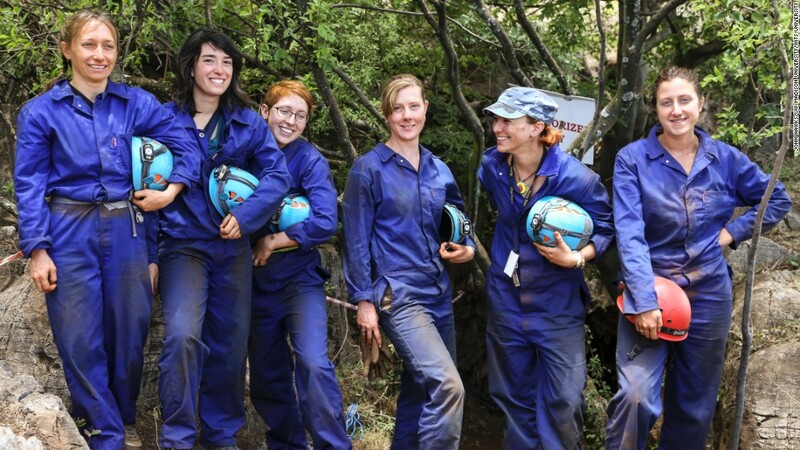 Image of the caving team found here. Homo naledi holotype found here. This entry was posted in Anthropology, Biological Anthropology and tagged anthropology, evolution, fossil record, Homo naledi, paleoanthropology, trowelblazers. Bookmark the permalink.